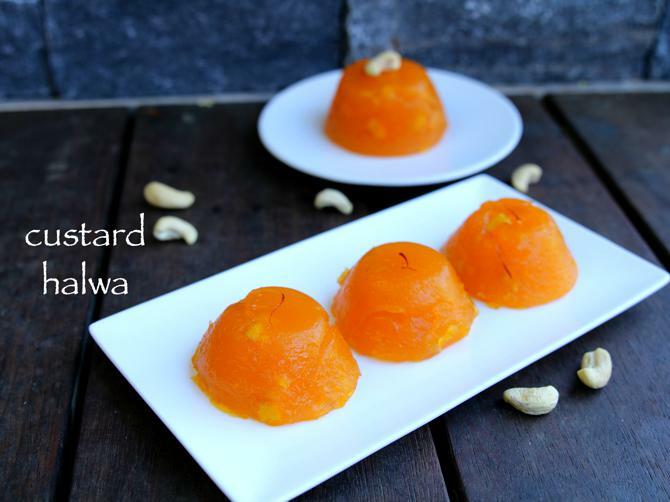 custard powder halwa recipe | how to prepare custard halwa with detailed photo and video recipe. 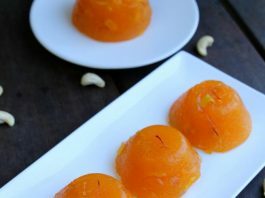 an easy and simple indian sweet recipe prepared from custard powder and with other basic ingredients like sugar and ghee. 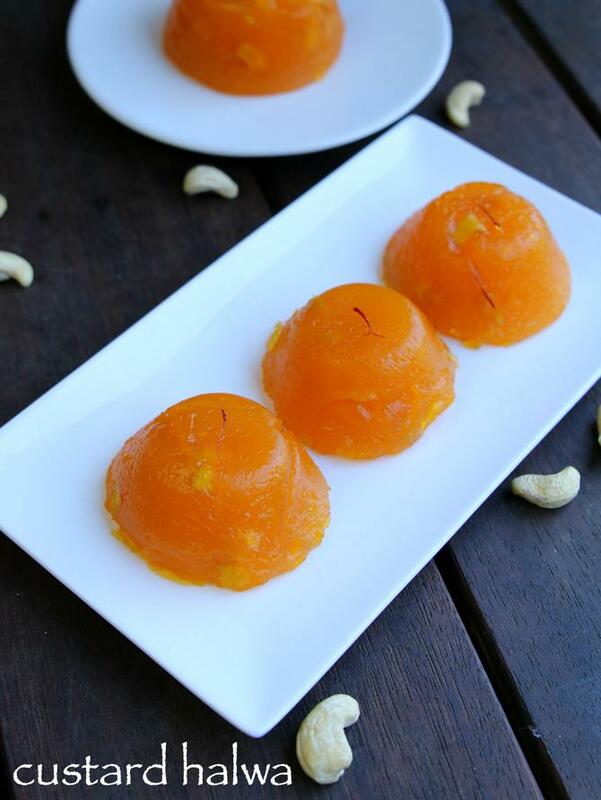 an ideal festival sweet recipe which can be hit with your friends and family especially during diwali celebrations. custard powder halwa recipe | how to prepare custard halwa with step by step photo and video recipe. basically custard powder is prepared with the mixture of corn flour and milk powder with some sugar and vanilla as flavouring agent. hence when the custard powder is boiled with hot water with greasing agent like ghee forms a jelly like texture. this characteristic is due to the starch content in corn flour. basically custard halwa recipe is almost very similar to my previous recipe of karachi halwa or corn flour halwa. both share the same properties of translucent and jelly behaviour which makes colourful and attractive. perhaps kids would definitely love custard powder halwa recipe. having said that i would be very cautious while serving to them. this because of the corn flour can cause digestion problem to them. also comparatively it contains high sugar content and i would stop them having it after 1-2 servings. some easy and must recommendations to follow while preparing the custard powder halwa recipe. firstly, i dissolved the custard powder and sugar with water before transferring to cooking pan. otherwise the custard powder may form lumps if added directly to warm water in pan. 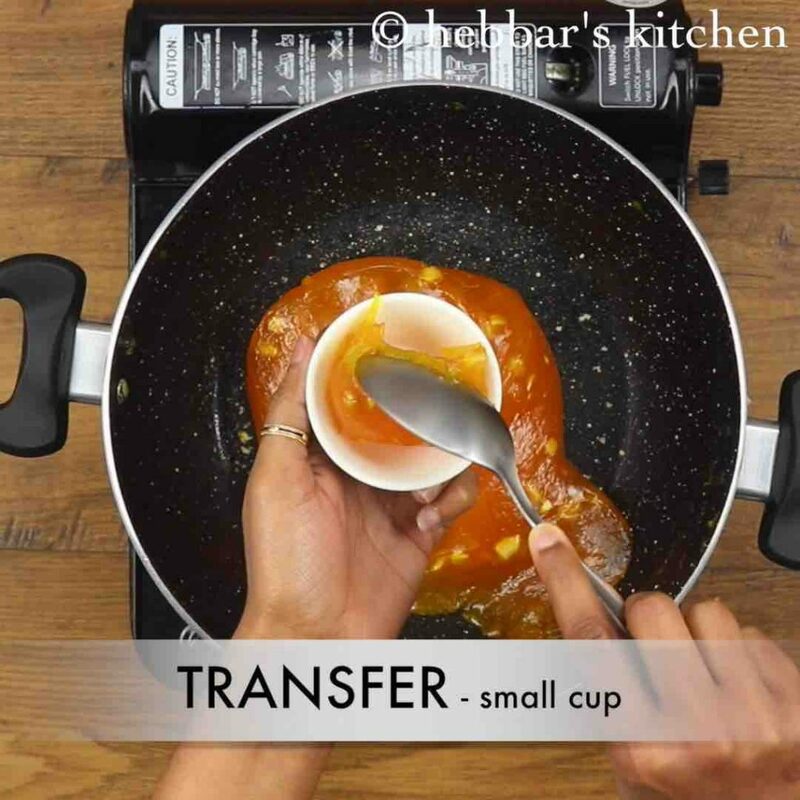 secondly, after adding the custard mixture, do not forget to continuously stir till it forms a lump. lastly, i have used vanilla flavoured custard powder and i would heavily recommend to use it. alternatively you can add vanilla essence on top of custard and sugar mixture. 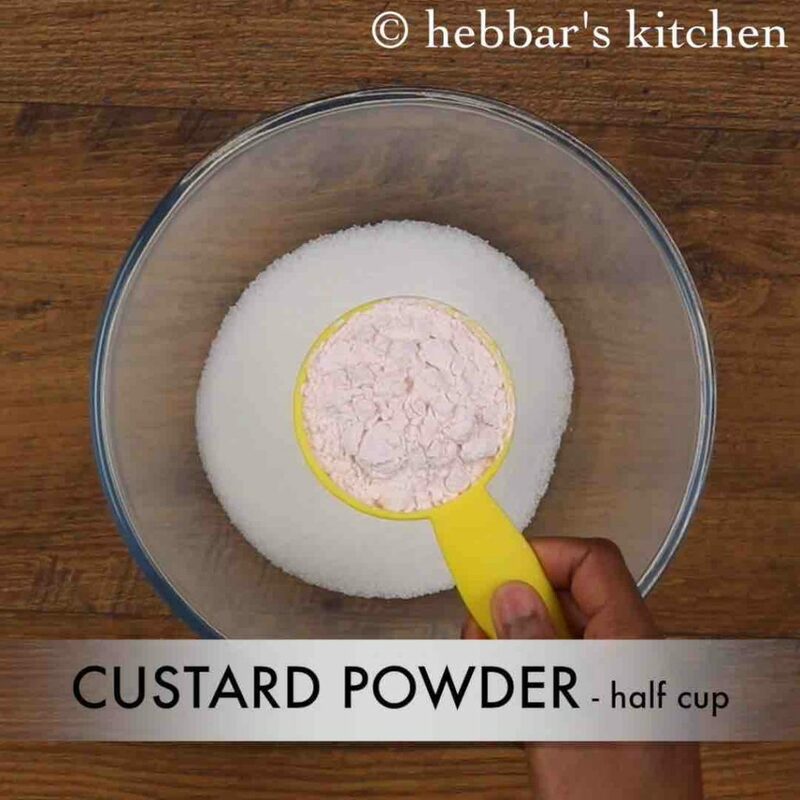 firstly, in a large bowl take 1 cup sugar and ½ cup custard powder. 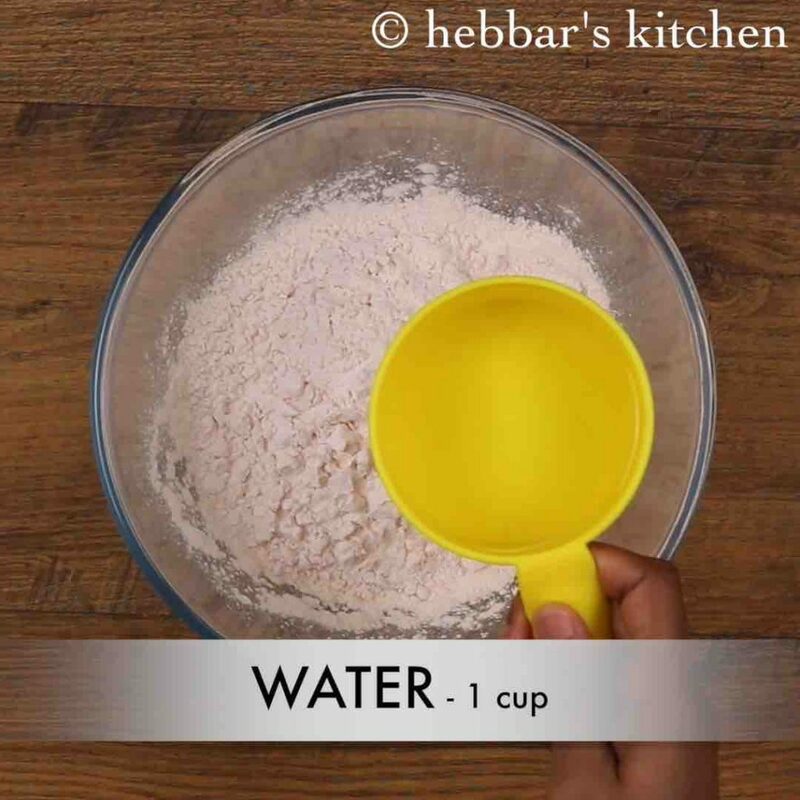 add in 1 cup water and whisk well. 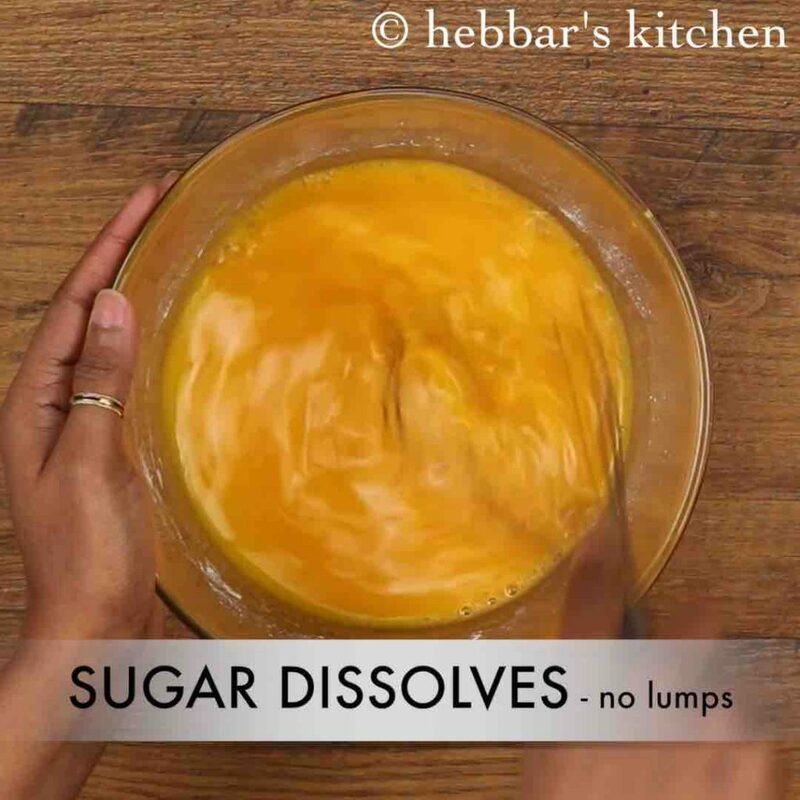 make sure there are no lumps and sugar dissolved completely. keep aside. 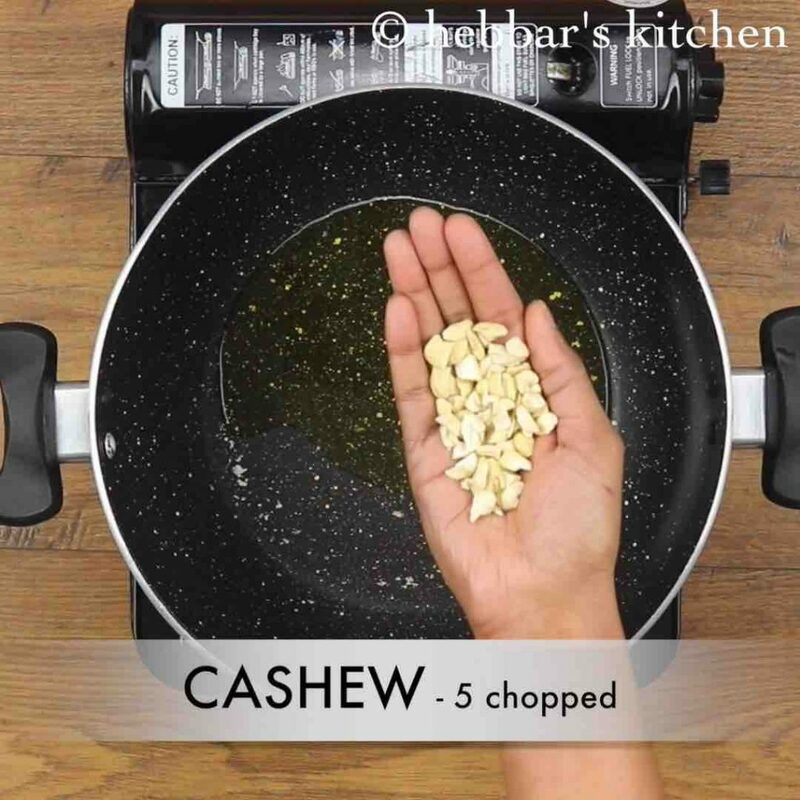 now heat 2 tbsp ghee in a large kadai and roast 5 chopped cashews. 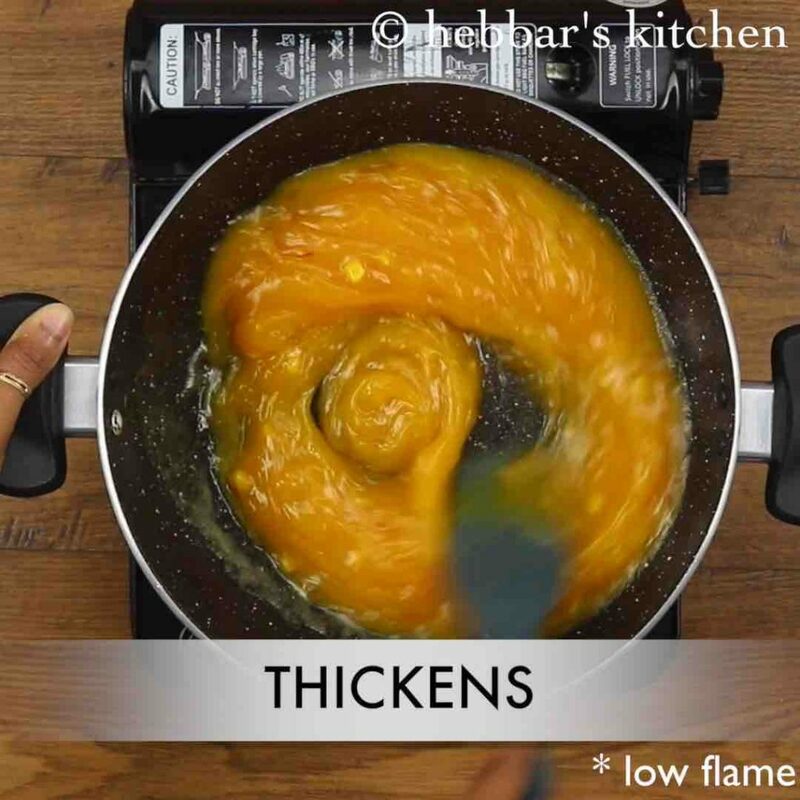 now pour prepared sugar-custard mixture stirring continuously, keeping flame on low else lumps might form. 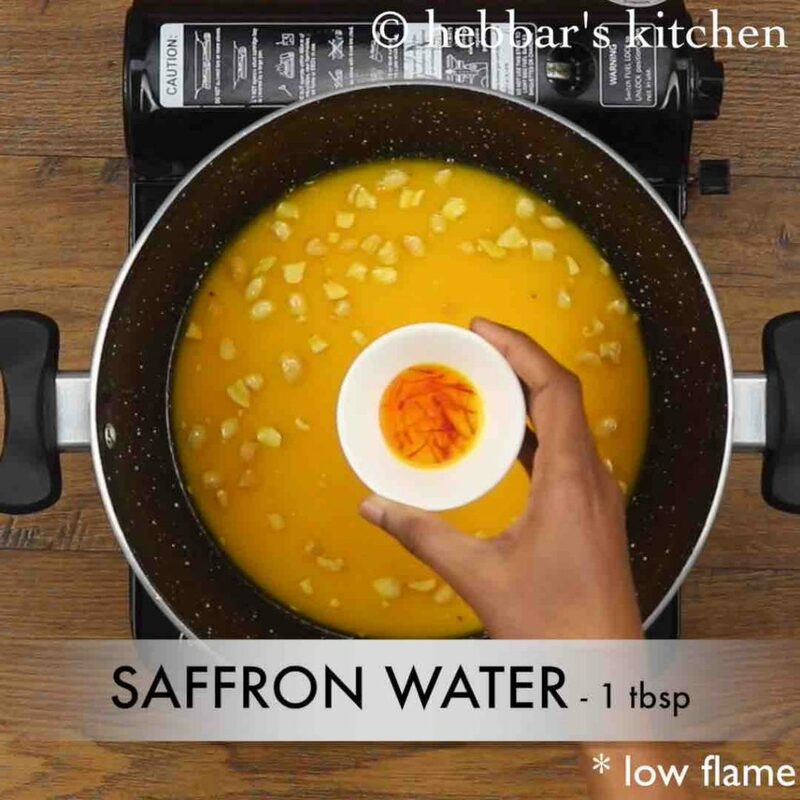 also pour 1 tbsp of kesar water / saffron water. 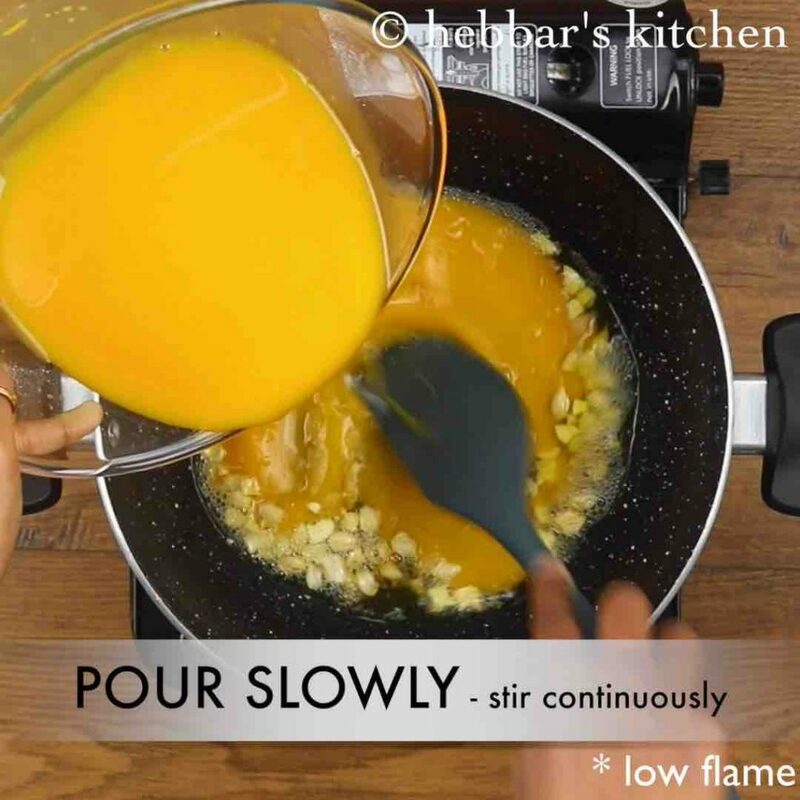 stir continuously till the mixture thickens and starts to separate from pan. 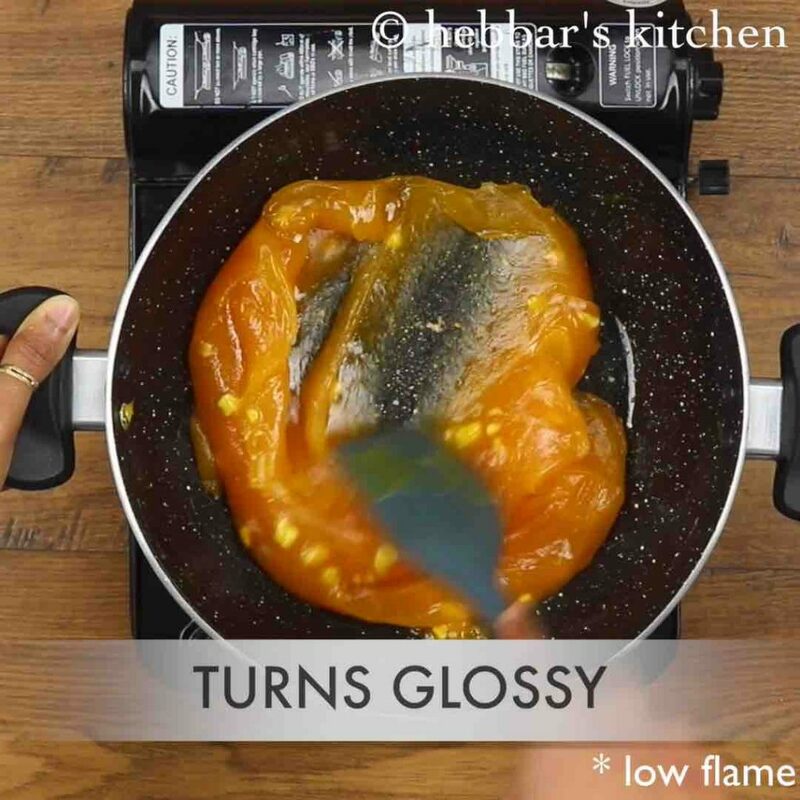 further, stir till the mixture turns glossy and translucent. 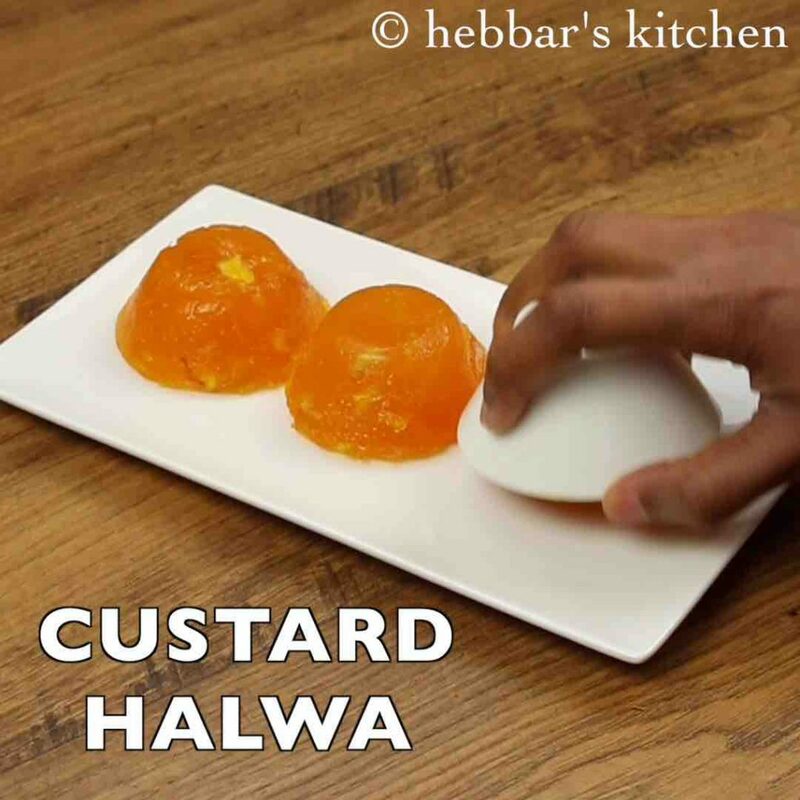 transfer the custard halwa into small bowl or into greased tray like prepared in corn flour halwa. rest for 30 minutes or till it cools slightly. finally, unmould onto a plate and serve custard powder halwa recipe garnished with cashew. firstly, use any flavoured custard powder of your choice. also add more / less sugar depending on the sweetness you prefer. additionally, if you are vegan then replace ghee to coconut oil. finally, custard powder halwa turns great when prepared on low flame. I have prepared this dish and all my family liked it so much. Thanks for sharing so nice recipes.